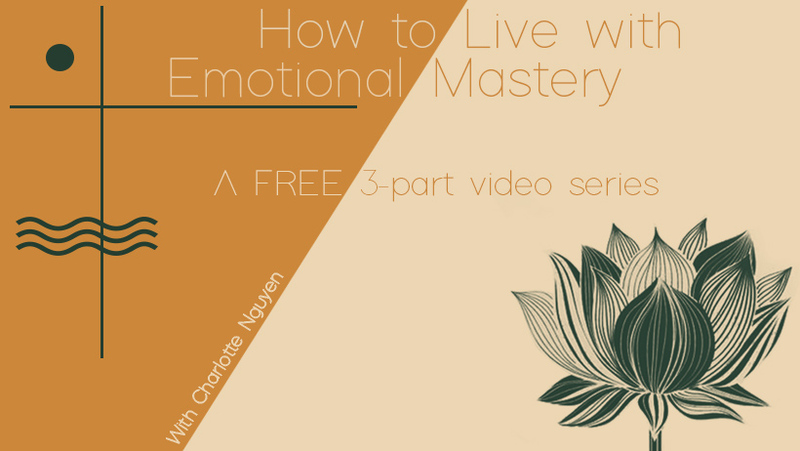 This 3-part video series will show you how to become more skillfully engaged in your inner world of emotions so that you can finally set yourself free. 1. Gain clarity around your emotional patterns and why they’re so hardwired in you. 2. Understand what your emotions are trying to communicate to you with unconditionally loving presence. 3. FINALLY break free of the stories that have bound you from truly being you! Emotional Mastery Coach and Creator of Get Free! Charlotte Nguyễn is a transformational coach, spiritual adviser, activist and the pint-sized daughter of Vietnamese refugees. After the death of her first love in 2007, she began a journey to learn how to be free from suffering. For the past 6 years, she has worked with hundreds of people in the field of personal development, helping them cultivate lives full of trust, confidence, intimacy, connection, mindfulness and compassion with themselves and all their relations. Her work on dharma + politics has appeared in Voyage Magazine, Buzzfeed, Feministe and Turning Wheel Media. The work of emotional mastery is a path she devotes herself + her life to everyday. She is blessed to serve + share these tools which have so profoundly changed her life.